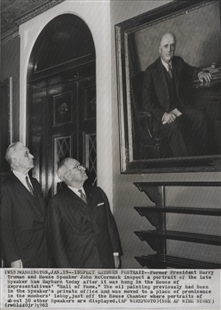 Speaker of the House John McCormack and former President Harry Truman admire a portrait of their friend and colleague former Speaker Sam Rayburn. 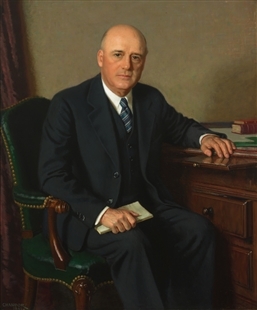 After Rayburn’s 1961 death, the painting was moved from a private office to the more prominent Speaker's Lobby directly outside of the House Chamber. Rayburn, the longest-serving Speaker in House history, spent 48 years in Congress.